Brock CareerZone Blog: Can't Find a Job? Do a Post-Grad! Can't Find a Job? Do a Post-Grad! 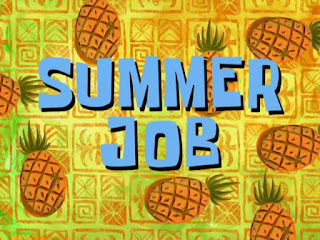 As I completed my last year at Brock, I struggled to find a job that I could be qualified for with a Pop Culture degree. Like many graduating students, I had finally realized that my post-secondary education wasn’t really suited for finding employment. I had all the knowledge I needed to complete my program, but no experience to get a job. As much as I wanted to be done with school, I started doing research on college courses that could supplement my university degree. A friend told me I should take a Post-Graduate Certificate. At the time I had NO IDEA what that was, but it sounded like something I needed to know about. A Post-Graduate Certificate/ Diploma is a program taken at college for those who already hold a university degree. It’s almost like taking your Masters; the only difference is you complete hands on work rather than research and get specialized knowledge in a specific discipline. It’s a great way to gain experience and make you more appealing to employers. The best part is that the majority of certificates only take one year to complete. I was sold! The majority of colleges in Ontario all have Post-Graduate Certificate programs in a variety of disciplines ranging from Ecosystems Restoration to Hospitality & Tourism Management. I decided I wanted to go to Niagara College and selected Public Relations as my field of study. Going from Brock University to Niagara College was a little like going back to high school. It had been a few years since I had had a professor who knew me by name, and was willing to work with me one-on-one if I didn’t understand something. All the instructors were extremely knowledgeable and had worked in the industry for years themselves. In other words, it was nothing like university, but in a good way. I also got to complete an internship to get experience to add to my resume, which most programs offer. In June, I graduated with my Post-Graduate Certificate in Public Relations, and I couldn’t be happier. It was the right choice for me, and with some research, it could also be the next step in your educational path. For more information, visit www.ontariocolleges.ca and find a Post-Grad program that’s right for you.